Brandable Custom URLs. Real-time Link Editing. Custom domains ensure maximum deliverability inside my bulk email campaigns. Use branded short links to build customer trust and increases conversions. Create smart link targets to automatically route visitors by language or operating system so that we end up with engaged customers instead of bounces. Add retargeting pixels in short links to track interest in specific products and maximize advertisement ROI. Understand which one of my marketing channels or Ads are most effective and optimize digital Ad spend. We sometimes experience products selling out suddenly in the middle of a large campaign. This is no longer a stressful situation. Real time link editing means a quick edit is all it takes to instantly shift customers to a new landing page. 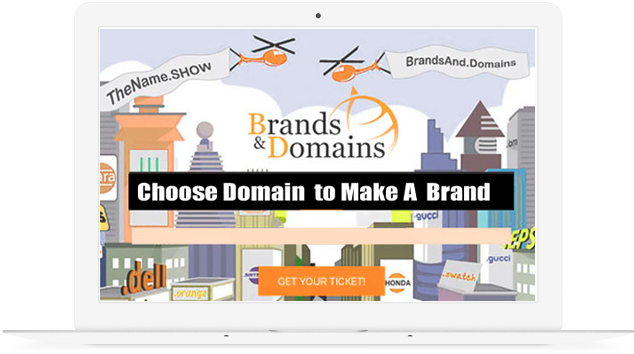 Use custom domains to multiply click-throughs and increase the public's awareness of my brands. Consistent branding impression. Show our company logo to guest users when they login to create URLs. Restrict our employee's account access to only the campaigns I want assigned to them. Social media dashboard and notifications to gauge the impact of my social media marketing; alerts me to sudden changes in discussion volume and helps identify brand publicity issues. Use remarketing links to repeatedly get my brands in front of interested eyeballs. Use Custom Short URLs in my books and newsletters to encourage trust and build brand loyalty with fans. Understand who my readers are, which books are getting clicks and purchases and which marketing channel is working best. Include retargeting pixels in my links to build a fan list. Then reconnect with the same interested audience when my sequel is ready to be released. Create a single responsive short link to direct readers and split into two targets based on their operating system (e.g. Kindle to Amazon and iOS to iBooks). Can generate transcribable short links in printed brochures for publicity events. These special error resistant links also work great in spoken form (Siri changes links to all upper case). Use insights from tracking reports to understand who my customers are, spot product micro trends and ratchet up results on the next campaign. Use custom domain URL shortening to gain a higher level of indexing on Google. Configure short link HTTP status codes for best SEO results. Set a custom 404 URL so both search engines and visitors are sent to valid pages on my site when trying to follow any link that doesn't exist. Click error monitoring finds and logs any broken links for me. Edit short URLs or QR codes to fix broken pages any time I need it. Add X-Robots-Tag to my short links for granular control over how Google makes content available through search results. Put QR codes on products for our retail customers to scan. The original URL produced a QR code that is too big to fit on the label so we shorten it first. Use a smart link to detect language preference of visitor and automatically route to either our English content or Spanish content. Making it so I need only one QR per label. And no tech skills or programming required. Include a link to a survey on some of our packaging labels. This has been risky in the past because errors can result whenever users manually enter links. But now I have the option to make special mistake-proof short links for print purposes. 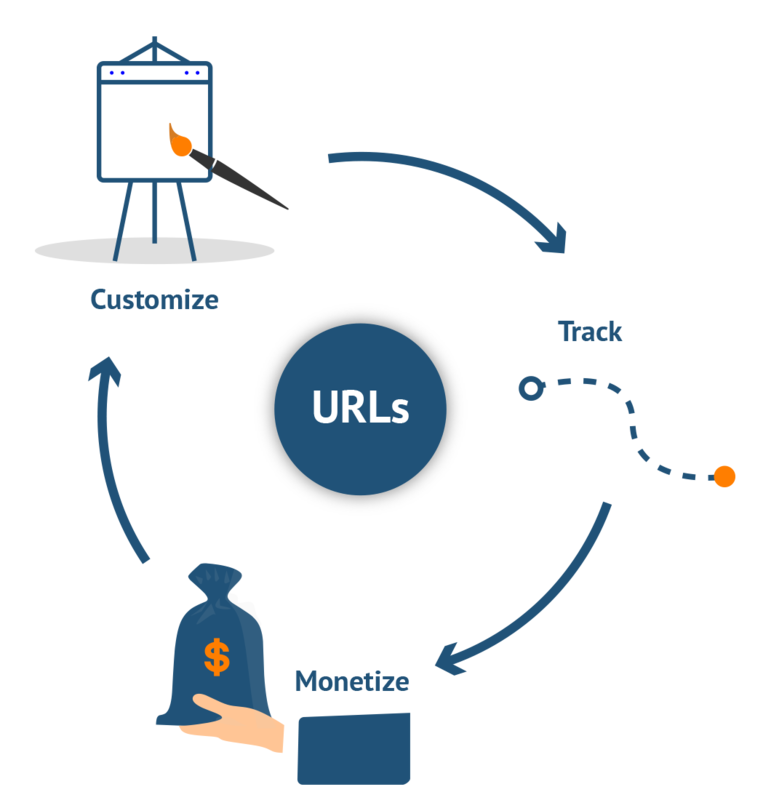 Lets me edit landing page URLs anytime. Even after labels are published and in the hands of customers. Use short links with Bluetooth Low Energy (BLE) Beacons for asset tracking and proximity marketing. Low cost way to start a personal brand and make vanity URLs. Gives me the option to create https short links. Crystal clear setup instructions. Takes only a few clicks to get up and running. Organize all my important digital resources with easy to remember, keyword-rich short links. A name everyone instantly trusts when they see the URL. Upgrade my links by putting my name in a custom domain and sharing with friends, family and on social media. Use Custom Short URLs in blog posts to amplify my messages and promote my personal brand at the same time. Publish one custom branded short link on my business card, then keep the destination URL updated so that people are always taken to my latest blog post when they visit. I can even include retargeting (remarketing) in the same link. Brand the client's links to increase engagement and inspire audience trust. Easily manage multiple brands and business lines from one Tinycc account. White labeling lets me present a positive picture of our company as clients see our agency logo when they login to create URLs. Complete control over which campaigns our clients can see in their accounts. Our agency activities and custom domain portfolio remains private and secure. Social media dashboard and notifications keeps me on top of what people are saying online about our brands. Add retargeting pixels to short links for tracking interest in specific products and growing a list of qualified customers. I love using Tinycc! It allows us to create branded short URLs at a very affordable price. The customer service is excellent and so is the feature set. They were even able to add a new feature upon our request! You would never launch a TV commercial, YouTube video, online ad or press release without your brand being all over it. Why waste an opportunity and share URLs without your brand name in them? What if your links are used in print or spoken form? People often confuse certain letters with numbers, as well as struggle with capital letters. Tinycc specializes in mistake proof links that work in real life situations. Real-time link editing takes the risk out of publishing. Publish now and change where it points later. Update a default destination even if campaign is already live. Short or long URL can be modified anytime. Put an end to "customized link is already taken" messages. Tinycc has private hash space - so you aren't limited by any other users. This lets you optimize your links with a custom keyword and increase CTR.